So you want to drive more traffic to your footwear website? Well, know this, dear reader. Many footwear retailers believe that only a few hundred sources affect the total amount of traffic to their website. This is not true. There are actually tens of thousands of secondary and tertiary sources of traffic, each of which has the potential to drive qualified customers, and eventually revenue for footwear brands. These tweaks might be impactful, especially over a long period of time. But they typically only result in tiny fractional increases across existing conversion rates. Using DemandJump’s Artificial Intelligence Marketing (AIM) platform, we put one major footwear brand in the hot seat. For the purpose of this post, let’s call them Soles.com. By analyzing Soles.com and their entire competitive set, DemandJump was able to uncover hundreds of new and existing opportunities and millions of dollars worth of untapped revenue. Below is a snippet of the key findings in our research. These are traffic sources with the biggest revenue potential for Soles.com. The forecasted dollar value is calculated based on the total amount of traffic Soles.com could be getting from the identified referral source multiplied by the industry average conversion rate and order size. DemandJump discovered more than 7,000 incremental opportunities. These are three of the largest. 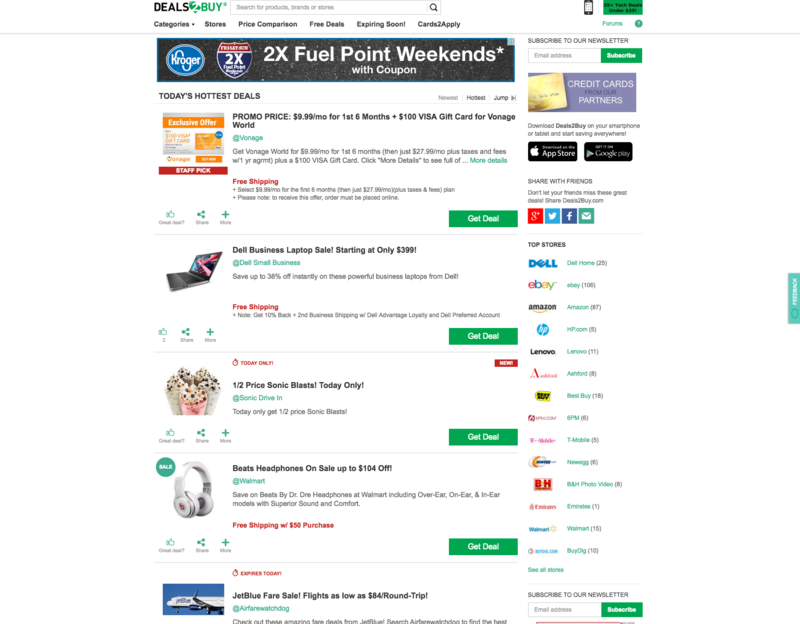 Slickdeals is an affiliate website that drives traffic across a host of websites, ranging from electronics to apparel to travel. This includes many footwear retailers, including Finish Line, Foot Locker, Famous Footwear, Payless, and more. While Soles.com is capitalizing on Slickdeals to an extent, they are underutilizing the referral channel compared to many of their competitors. 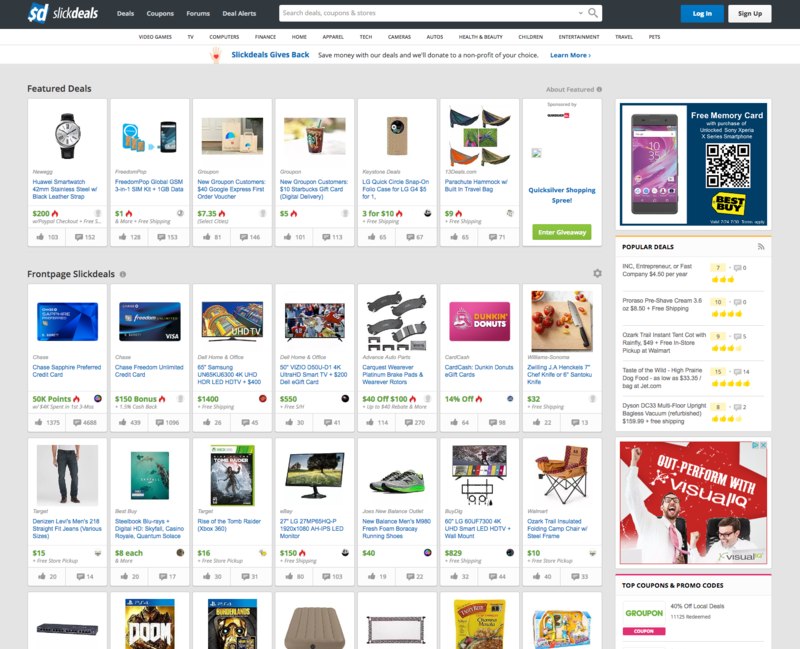 Finish Line, a direct competitor, is capturing more than 9M visitors from Slickdeals every year. Payless, Famous Footwear, and Journeys are all driving less than that, but still driving a significant amount of qualified buyers. Like Slickdeals, Brad’s Deals is another affiliate website driving traffic to a wide range of sites and industries. Brad’s Deals drives almost 4M visitors to Finish Line every year. Journeys, Famous Footwear, and Shoes.com are also capitalizing on Brad’s Deals. Soles.com has established a relationship with this website but is doing little to actually leverage them as a source of traffic. Even a modest projection from DemandJump indicates that Soles.com is leaving at least $2.5M in annual revenue on the table. RetailMeNot.com is a discount and couponing powerhouse. The website drives 1.5M, 1.4M, and 400K visitors to Payless, Foot Locker, and Shoe Carnival respectively. DemandJump forecasts that Soles.com could realize an incremental revenue increase of $2.1M dollars, based on a traffic estimate of more than half a million additional visitors. All the sources in this section currently drive zero new customers to Soles.com. Many of Sole.com’s competitors are receiving a million or more qualified visitors from each of these three sources. ShopStyle is a fashion, apparel, and footwear affiliate that provides thousands of options every day. 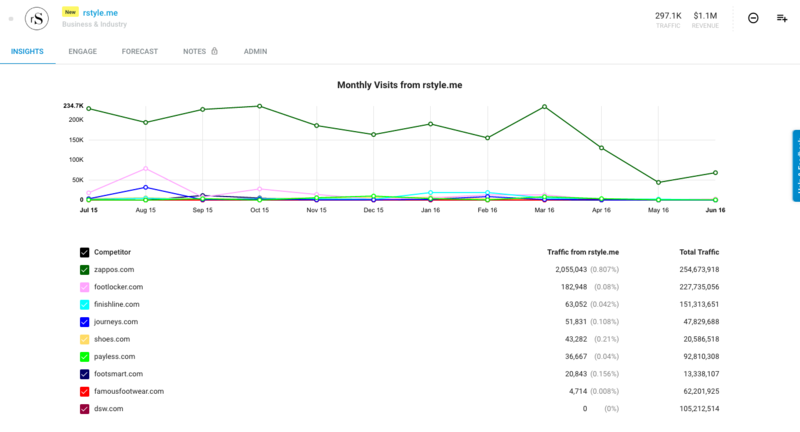 ShopStyle drives almost 2.5M visitors to Zappos on an annual basis. 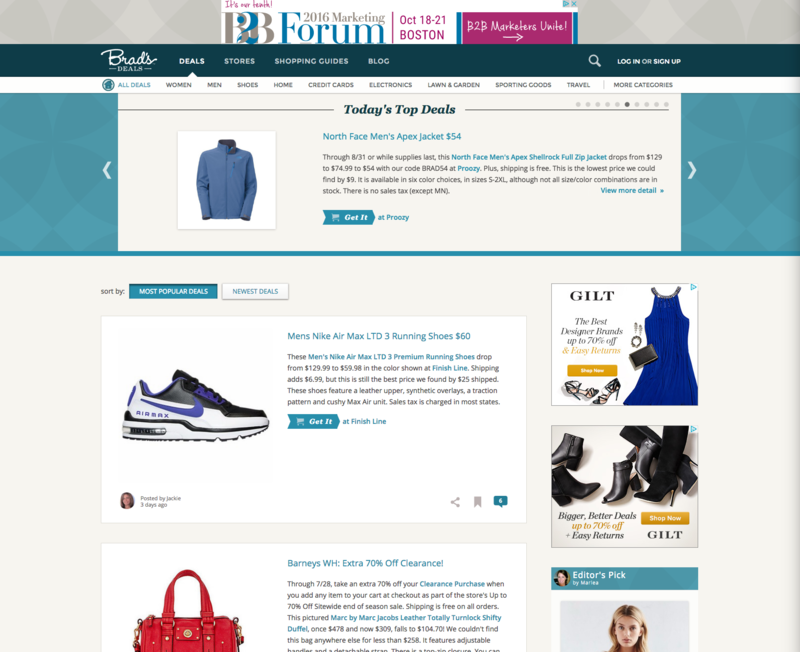 Shoes.com, Famous Footwear, and Finish Line are also receiving significant amounts of traffic from ShopStyle. Soles.com is not receiving any traffic at all from ShopStyle. DemandJump forecasts 793K annual visitors if Soles.com leverages them as an affiliate partner. Those visitors would account for an estimated $3M increase in annual revenue. Like ShopStyle, Ebates is a powerful traffic driver across multiple footwear brands. 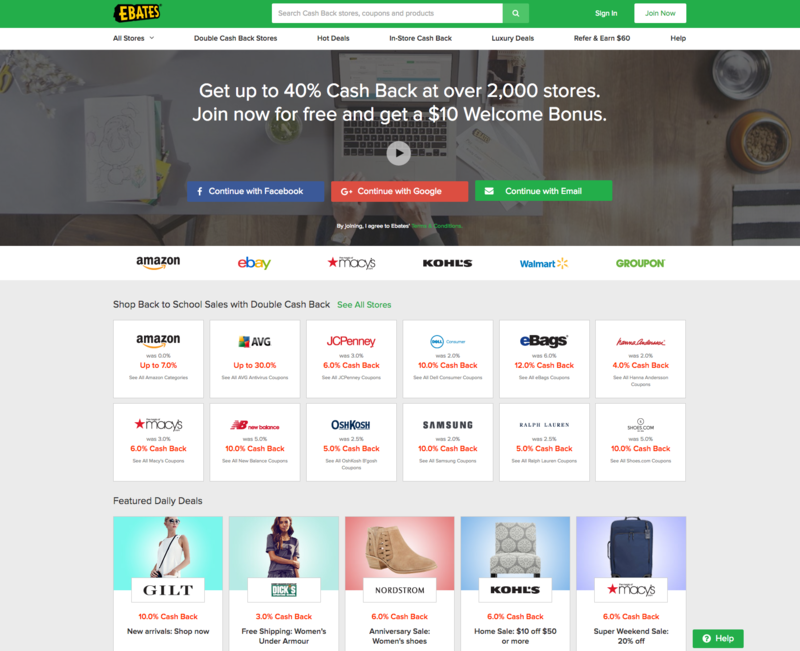 Ebates is a well-known affiliate website, known for big discounts and high-quality partnerships. Ebates operates in countries such as the United States, China, Korea, and Singapore. Foot Locker, Finish Line, Famous Footwear, Shoes.com, Journeys, and Payless are driving anywhere from 100K to 1M websites visitors each year from Ebates. 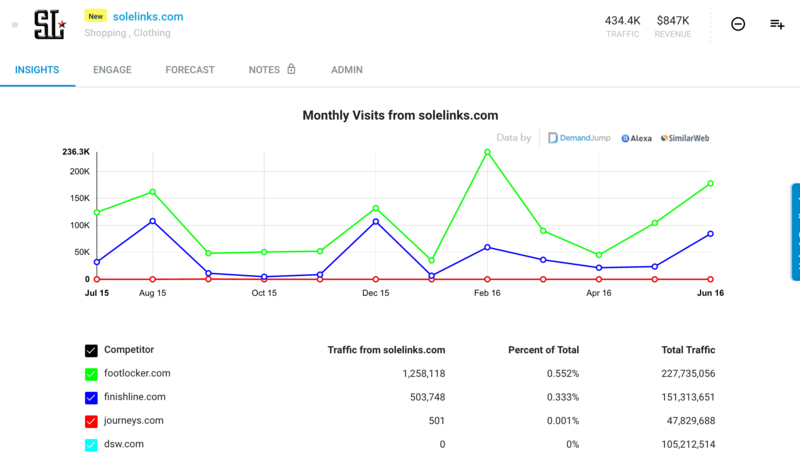 Soles.com is receiving no traffic, however, DemandJump predicts they could receive 400K visitors and increase their annual revenue by $1.5M. rewardStyle is an invitation-only content monetization platform for style influencers and brands. It is a great way for fashion, apparel, and footwear brands to reach highly targeted and engaged audiences. rewardStyle drives hundred of millions of visitors to e-commerce websites, including websites that focus on footwear. Zappos receives more than 2M visitors from rStyle each year. Foot Locker, Finish Line, Journeys, and more are also making use of rStyle to some extent. While Zappos is clearly a dominant partner on the site, DemandJump forecasts that Soles.com could earn as many as 270K visits, and more than $1M in revenue. 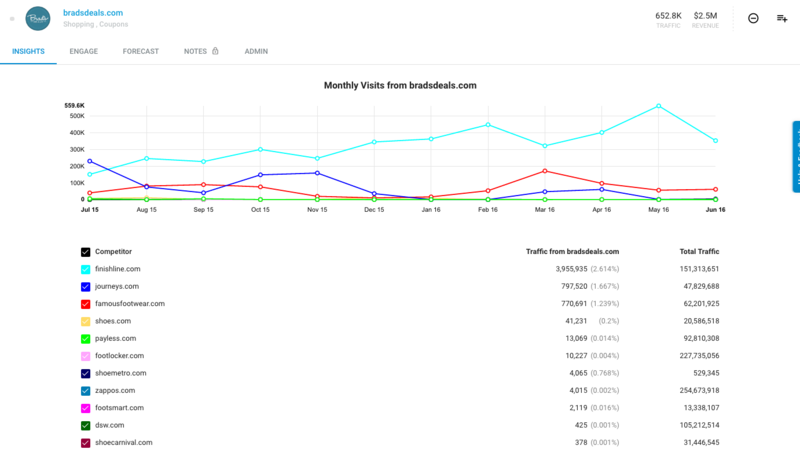 Breakout sources are identified by DemandJump because of their high potential and recent upward trending behavior. Even though they may not seem like the most obvious traffic-driving websites, getting on board now could pay off huge in the coming months. Polyvore is another affiliate specializing in fashion. The popular website attracts anywhere from 18-20M visitors each month. 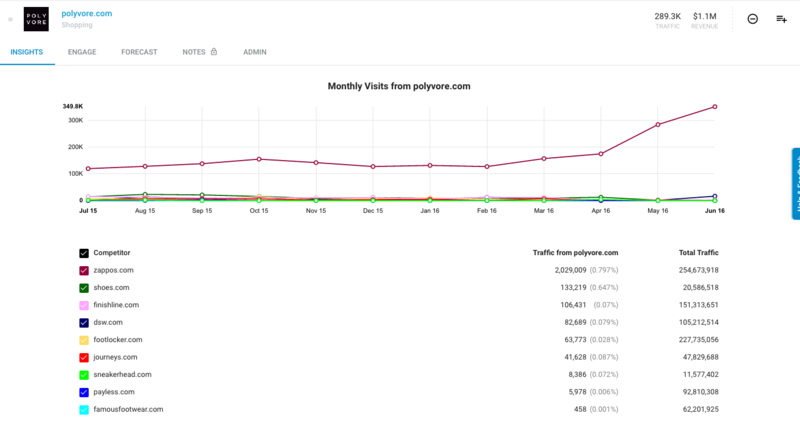 Polyvore drives traffic to many footwear brands, including more than 2M annual visitors to Zappos. DemandJump has tracked upward trends in Polyvore not just in shoes, but in several other categories as well. For this reason, we are noting it as a potential breakout pick. 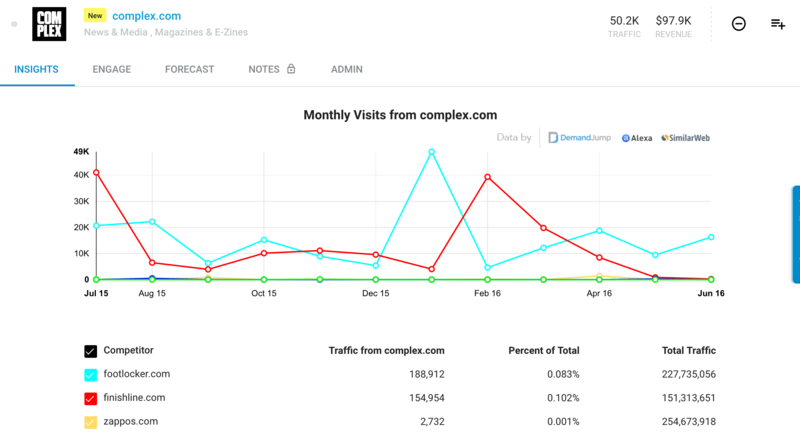 Even if traffic patterns continue like normal, with no rise at all, DemandJump forecasts an estimated increase of $1.1M for Soles.com's annual revenue. Footwear retailers across the board should be looking to form or improve their relationships with Polyvore. Deals2Buy is a smaller affiliate partner, which offers a variety of shopping and discount options. With around 1M monthly visitors, Famous Footwear, Finish Line, and Foot Locker have all been able to capitalize on this website. Though forecasts by DemandJump are less than half a million dollars, we have been able to pick out upward traffic trends from Deals2Buy. Traffic and revenue estimates of 82K and $317K respectively are significant. And if it spikes late this summer and into fall, footwear brands will want to ride that wave. If you have not noticed, many of the top traffic sources identified in this research are affiliate websites. This is due in large part to the prominence and effectiveness of affiliates in the footwear industry. Though the largest revenue opportunities identified by DemandJump are mostly affiliate websites, there are several other categories of traffic sources that Soles.com is not capitalizing on. 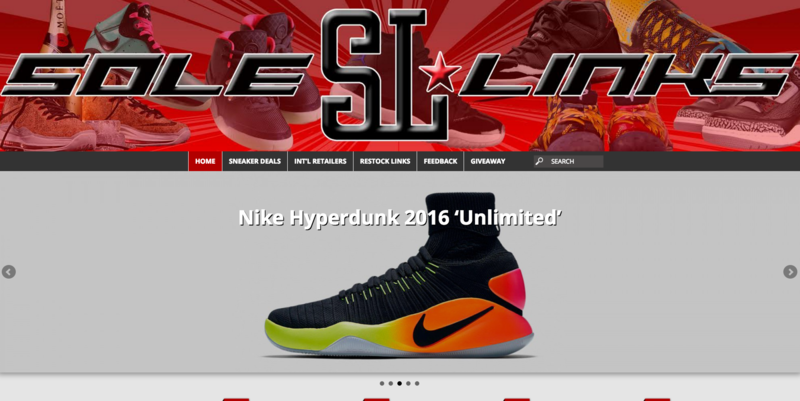 Solelinks.com is a footwear and sneaker blog known for being highly tuned in with upcoming sneaker product releases. Shoe enthusiasts and casual shoppers alike are known to frequent the website. 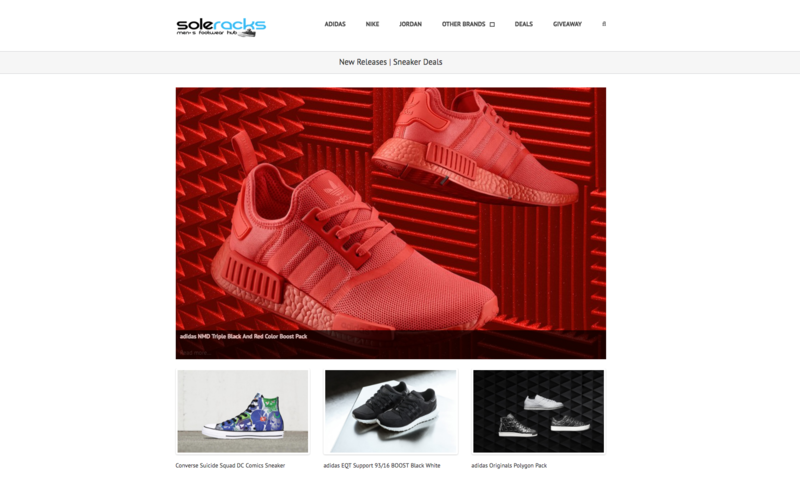 Solelink.com currently drives traffic to Finish Line, Foot Locker, and Journeys, but not Soles.com. The opportunity is here, and traffic has been increasing in recent months. With nearly $850K sitting on the table for Soles.com alone, this is an important source of traffic for footwear and sneaker retailers should explore. Soleracks is a hub for all the latest in men’s footwear. This popular website features a variety of sneaker options, known for keeping up with the latest and greatest in shoe news. 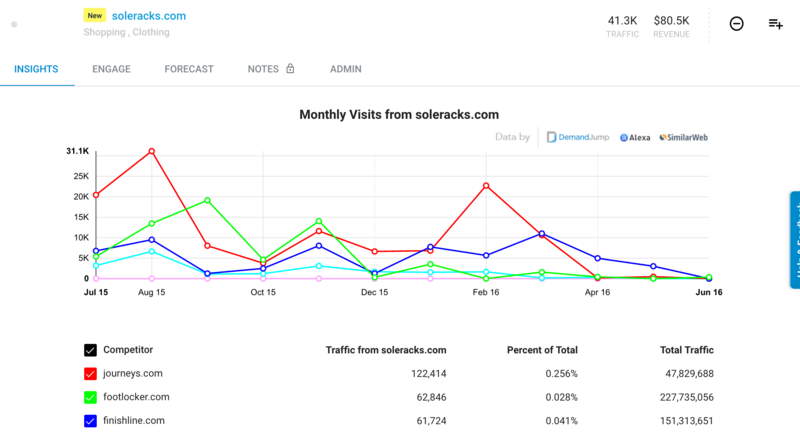 Soleracks would be a new traffic source for Soles.com. It could potentially drive 41K visits and increase annual revenue by $80K. 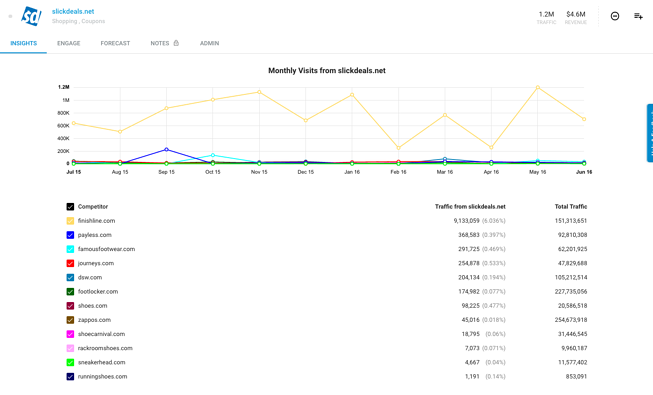 Several Soles.com competitors are receiving visits from Soleracks and turning these visitors into revenue. 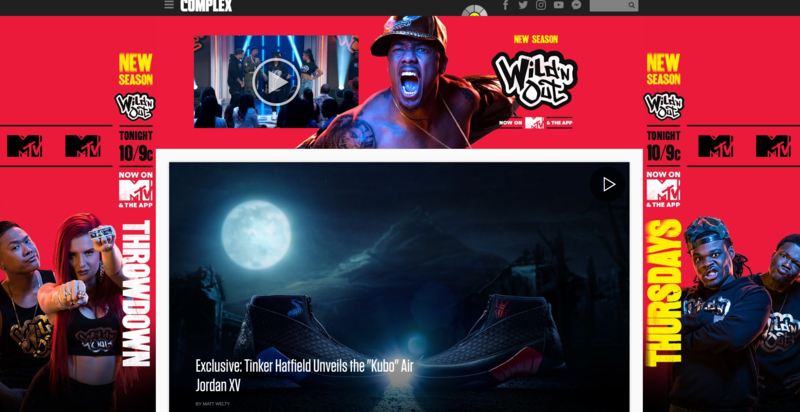 Complex is a magazine turned news site that is tuned into youth culture. They cover everything from music and style, to pop culture and sports. It is a perfect channel for footwear brands to target sneaker and athletic shoe advertisements and content. Foot Locker and Finish Line are two brands using Complex to generate traffic and revenue. Zappos, Famous Footwear, and Sneakerhead.com also leverage Complex as an effective advertising channel. Soles.com is not currently utilizing Complex, and DemandJump forecasts 50K yearly visitors and almost $100K in potential revenue for Soles.com. Though Soles.com was our featured company for this research, there are many other footwear retailers that are allowing unrealized revenue to be left on the table. The digital ecosystem is competitive and very dynamic. There are thousands of affiliates, blog, news, and commerce websites—many of them unknown to your brand, and new sources of traffic are emerging literally daily. The important thing is to hone in on which ones have the power to deliver the most incremental revenue. 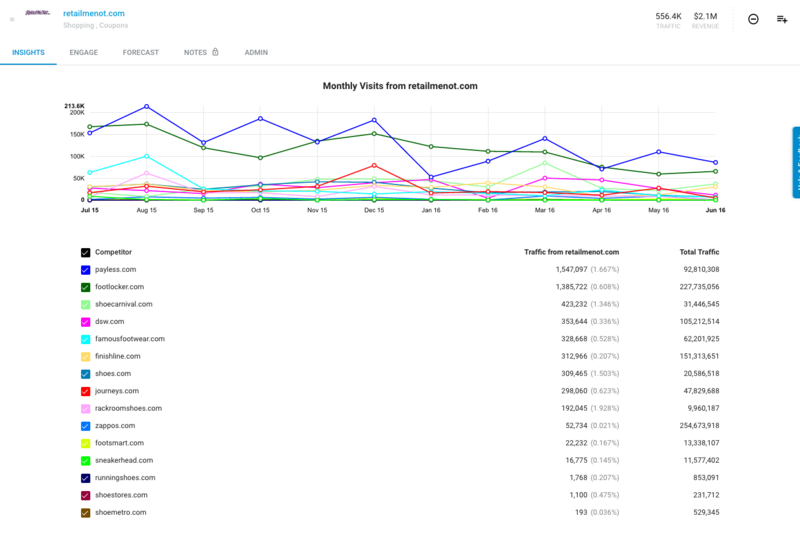 Between just the twelve sites listed here, DemandJump has identified $15M+ in incremental annual revenue for Soles.com. The money is there for the taking. The question is, what’s stopping you?